When the report on Jammu and Kashmir had been released, the Indian government’s response had implied that UN human rights commissioner Zeid Ra’ad Al Hussein was biased against New Delhi. 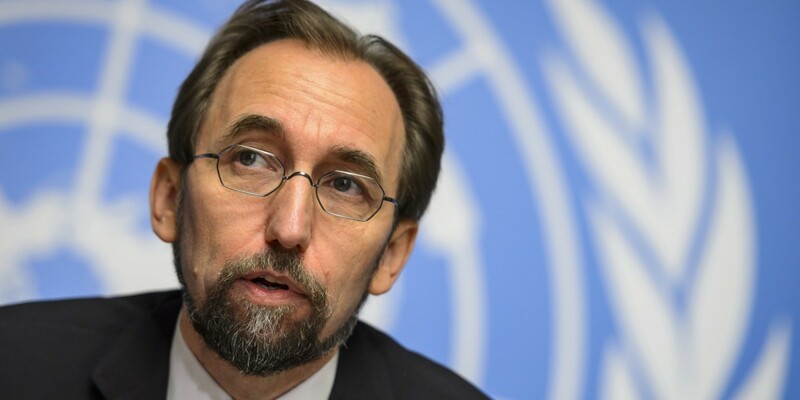 New Delhi: Over a month after UN human rights commissioner Zeid Ra’ad Al Hussein released a report which was greeted by claims of personal “prejudice” from New Delhi, his office has denied any collusion with Pakistani activists. It also said that the Kashmir report had been sourced from Indian official reports. On June 14, UN’s high commissioner for human rights released a report which mainly focused on the “human rights situation” in India’s Jammu and Kashmir from July 2016 to April 2018 based on “allegations of widespread and serious human rights violations were received, notably excessive use of force by Indian security forces that led to numerous civilian casualties”. The outgoing human rights chief had called for an international commission of inquiry into the allegations, but it wasn’t taken up during the last session which ended on July 6. Last week, UN secretary general Antonio Guterres had backed the human rights commissioner. When the report had been released, the Indian government’s response had implied that Zeid was biased against New Delhi on the Kashmir issue. “Our protest and views in the matter have been conveyed unequivocally to the Office of the High Commissioner for Human Rights. We are deeply concerned that individual prejudices are being allowed to undermine the credibility of a UN institution,” said MEA spokesperson Ravish Kumar. India disparaged the report as recently as July 9 in a debate at the Security Council, where Pakistan referred the matter. India’s deputy permanent representative to UN described the report as “reflecting the clear bias of an official who was acting without any mandate whatsoever and relied on unverified sources of information; a document that was not even found fit to be considered by the membership of the forum where it was submitted”. Referring to the official response from New Delhi, the UN human rights commissioner’s spokesperson said that they were “deeply disappointed by the reaction of the Indian authorities, who dismissed the report as ‘fallacious, tendentious and motivated’ without examining it and responding to the very serious concerns about the human rights situation in Indian-administered Kashmir and Pakistan-administered Kashmir as laid out in the report”. 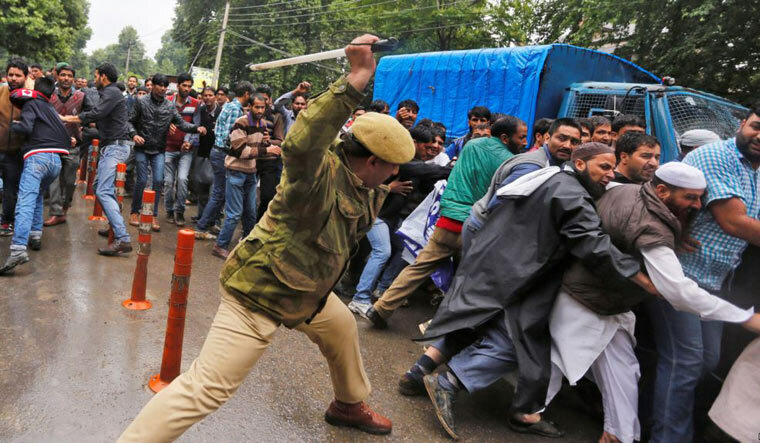 Since the release of the report, there has also been a steady stream of articles in the Indian media which cast doubt about the credibility of the Kashmir human rights report. “’Nefarious conspiracy”, “Pakistan-authored report”, “fallacious”, “mala fide” – these are some of the accusations levelled by numerous Indian media outlets against the UN Human Rights Office for our publication last month of the first-ever UN human rights report on Kashmir,” said the high commissioner’s spokesperson Rupert Colville. He said that the human rights chief’s office was “disturbed by the sustained attempts to distract and divert the focus away from the human rights violations on both sides of the Line of Control”. “The UN Human Rights Office has a global mandate and works independently, with a well-established methodology, in its public reporting. Ultimately, our goal in drafting this report was to assist the States and others to identify and address human rights challenges and to give a voice to all Kashmiris who have been rendered voiceless amid the deep political polarisation,” he added. Colville asserted that it was “not about politics”, but “about human rights of millions of people in Kashmir”. “And we will continue to try to engage with Indian and Pakistani authorities on this and other important human rights issues, and press for access to both Indian-administered Kashmir and Pakistan-administered Kashmir,” he added. On India’s accusation about the credibility of the information, the spokesperson said that there were 388 footnotes which were sourced from “India’s parliament – as well as the Supreme Court of India, the Ministry of External Affairs, the Jammu and Kashmir Legislative Assembly, the Jammu and Kashmir State Human Rights Commission, the Union Ministry of Defence, the Chief of Army Staff and even a former Vice President”. Earlier, he had noted that the report was developed through “remote monitoring” after both India and Pakistan did not grant access to their part of Kashmir. Stating that accusations of unverified data was “thus rather puzzling”, he added that “reliable information” was also drawn from “reputable civil society organisations and the Press Trust of India, and these are all clearly cited in the footnotes”. He also commented on two individual cases that were reported by the Indian media which accused the human rights chief of being biased towards Pakistan. “Some Indian media outlets have even gone so far as to claim that a photograph of the High Commissioner with three individuals from Pakistan-Administered Kashmir taken outside the Human Rights Council room in Geneva is – I quote – ‘clear proof of the ISI’s [Pakistan’s intelligence agency] involvement’. The unsupported conclusion that this photo indicates complicity is tendentious and – along with other such wild claims – appears designed to discredit the report while avoiding any real examination of, and reflection on, its contents. Individuals often ask to be photographed with the High Commissioner, and he often politely obliges,” said Colville. More recently, he noted that a “surprising number of Indian media organisations” have “seized unquestioningly” upon a claim of a Canada-based Imam of Pakistani descent, Zafar Bangash. According to ANI, Bangash said at a conference on Kashmir Canada’s Mississauga that he had worked with the UN human rights chief in influencing the report. “I can say it to you, and I say it with all humility, but with great pride that we ‘The Friends of Kashmir’ also have a role in the production of this report. In fact, I had personal correspondence with the High Commissioner for Human Rights, email correspondence in which he responded to my personal letter and e-mail saying that he would like to have access to both sides of Line of Control,” Bangash stated. Denying any such collusion, Zeid’s spokesperson said, “this is totally untrue”.